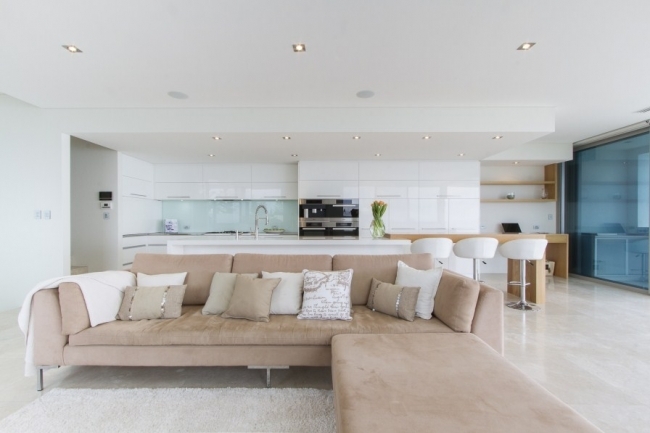 It takes a pretty special new modern house to make me weak at the knees. If you have been reading House Nerd a while you've probably noticed that I usually gravitate towards old houses and the traditional features of character homes! 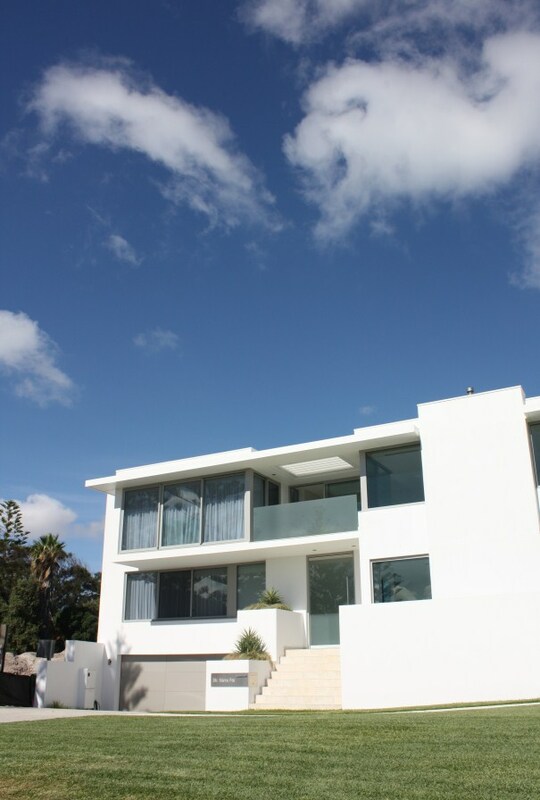 But when I walked in the front door of this utterly beautiful new house in Cottesloe, it just blew me away. 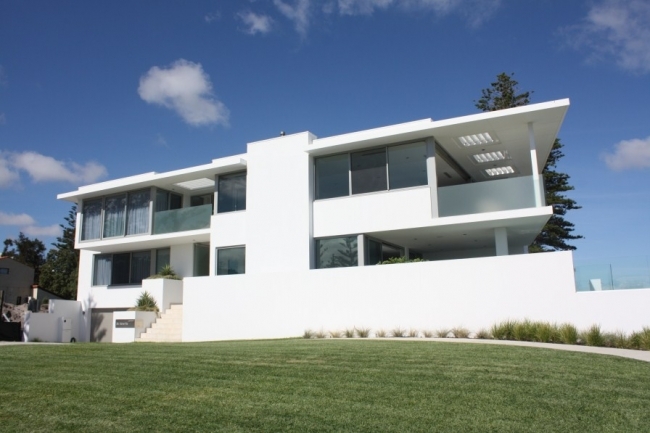 Right by the ocean on Marine Parade and completed just five months ago, this three-level house is the current and very, very nice home of Oceanwest Projects owner and builder Jamie Kyrwood, his wife Katherine and their son Cooper, 11. It is modern, big, commanding - and stunning. And when you step inside, it just feels good. 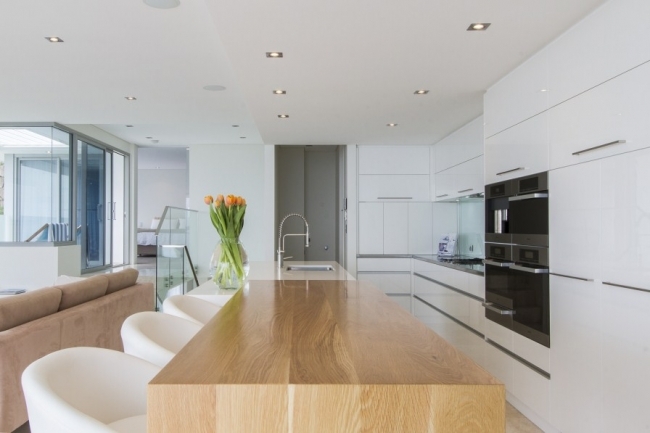 LOTS OF COOKING SPACE: Lacquered cabinets in the kitchen were teamed with CaesarStone benchtops and a built-in timber table of American oak. I love this. Nearby is a built-in laptop desk. 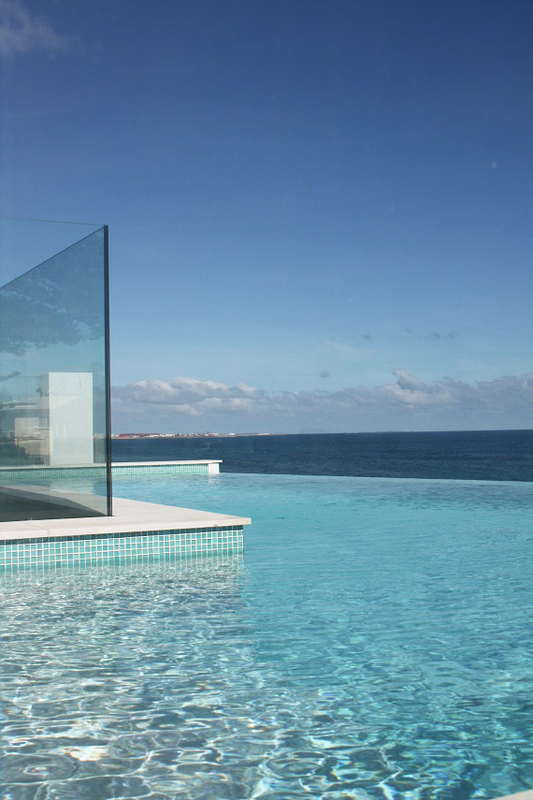 ABOVE: The infinity edge pool is backdropped by an uninterrupted vista of ocean. ABOVE: Sliding doors open the living area up to the balcony, where Jaime and Katherine love to watch the ships and kitesurfers. Photo by Maya Anderson. 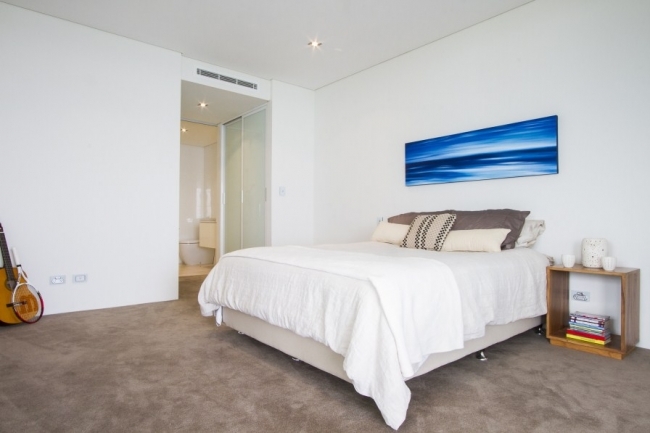 The oceanside site Jamie built on is small – only 280sqm. 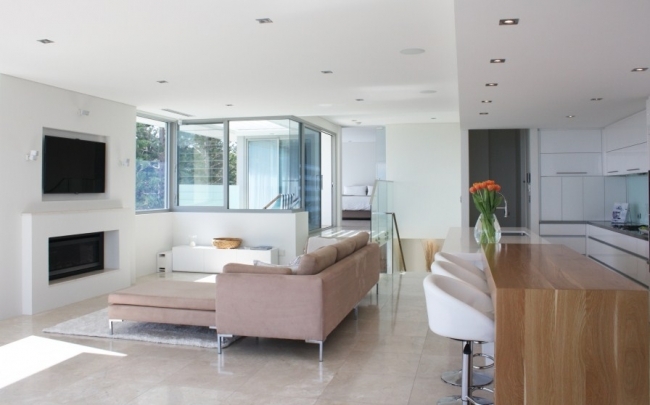 But its corner block locale, wide verges and endless ocean views give the house a sense of openness. Yet it’s so high above the street that there’s a feeling of privacy, like you are high above everyone else in the world. 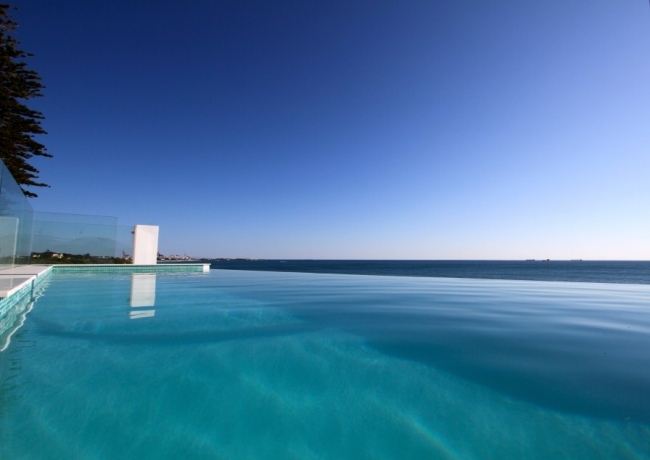 I loved the infinity edge pool that appears to almost disappear into the ocean beyond. 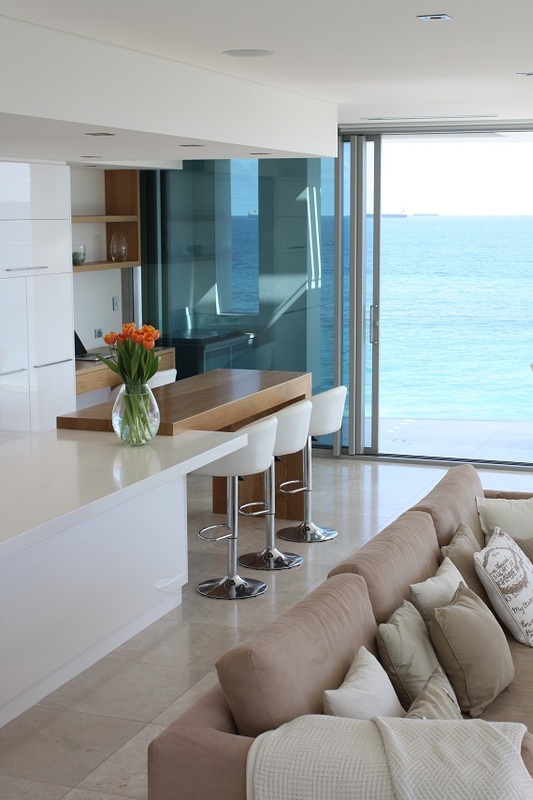 And I also loved the balcony, with sliding doors that open up the open-plan kitchen, living and dining to the sea breezes. 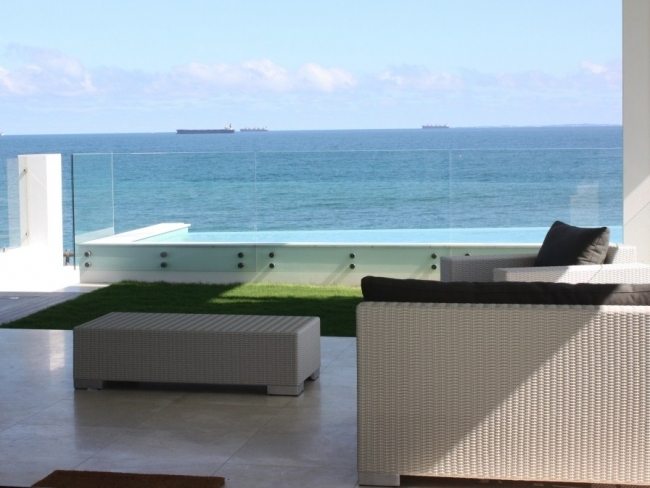 When you stand in the living area and look out to the balcony, it’s like looking at a sheer wall of ocean. 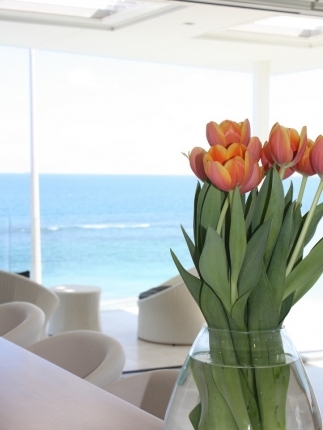 You could drink white wine and imagine you are living in a Greek abode in Santorini, or in a holiday house down south in Bunker Bay. 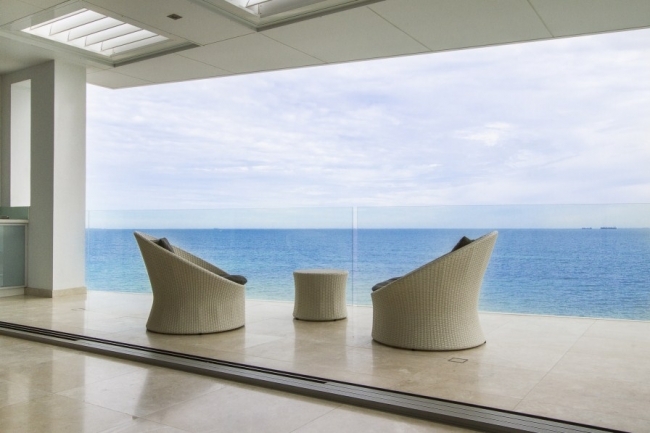 Or hey, just in Cottesloe which to many people would be heavenly enough! The house is on the market with Justin Davies of Space Real Estate. 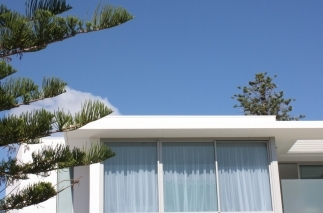 ABOVE: The Cottesloe house is spread over three levels on a 280sqm site on oceanside Marine Parade. 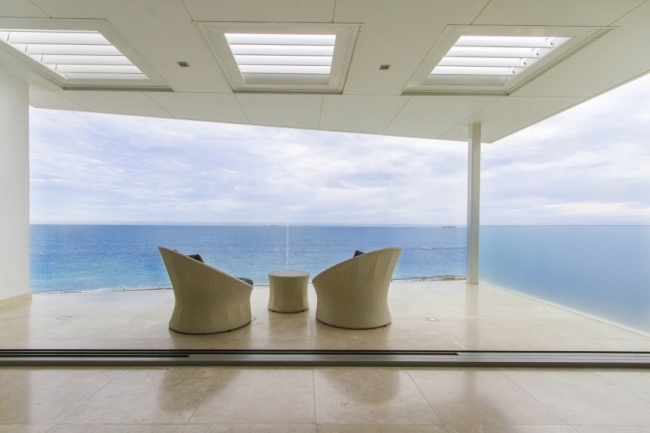 ABOVE: The entrance foyer flows down into a lounge that connects to the alfresco overlooking the infinity edge pool and the ocean beyond. 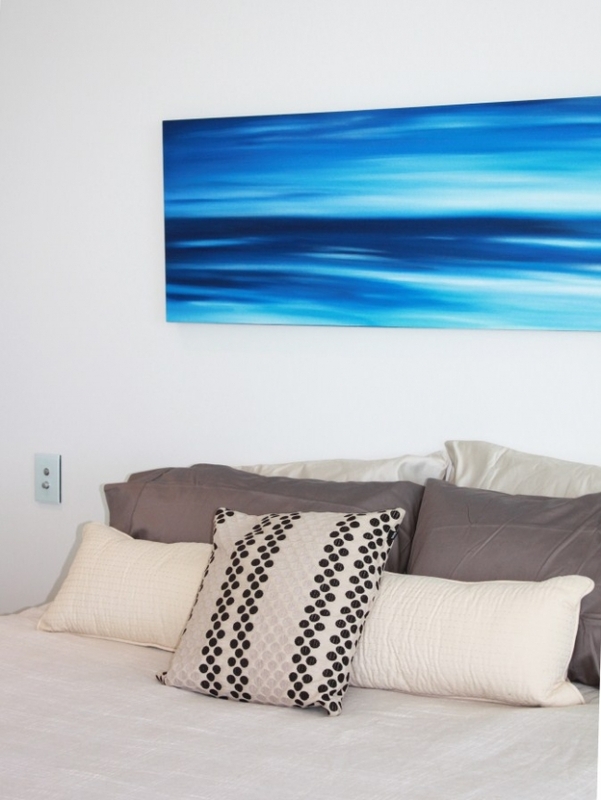 The interior colour palette was carefully chosen to link to and complement the sand of the shore and the colours of the ocean. 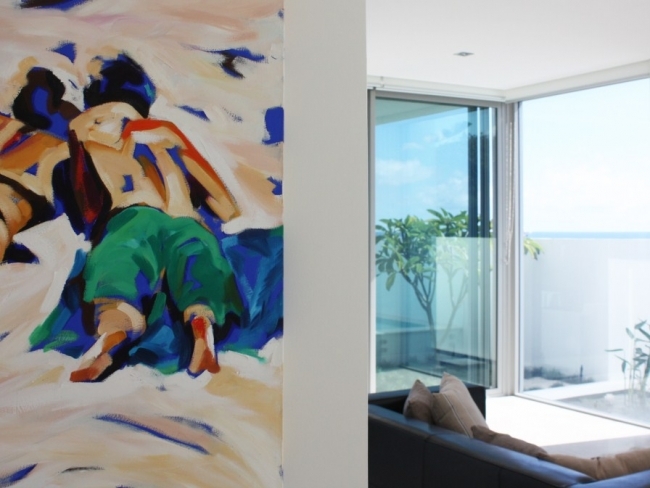 The floor tiling is Turkish limestone to link to the colour of the sand while artworks feature cerulean tones. 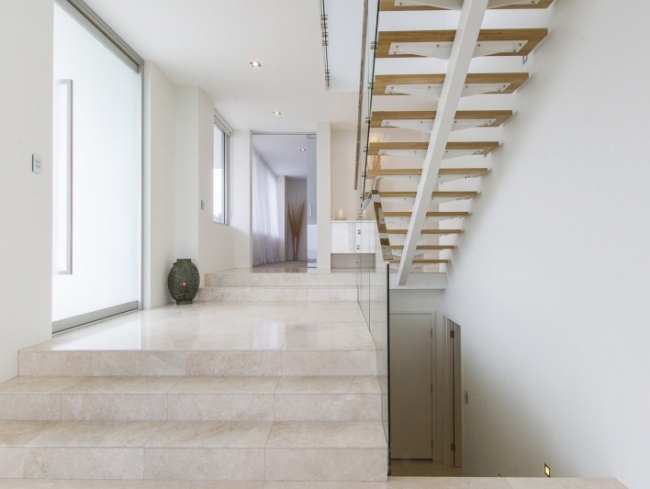 The staircase has American oak treads. ABOVE: An Escea fireplace warms the living area on cold blustery nights. Would be so nice to watch a storm rolling in over the ocean! 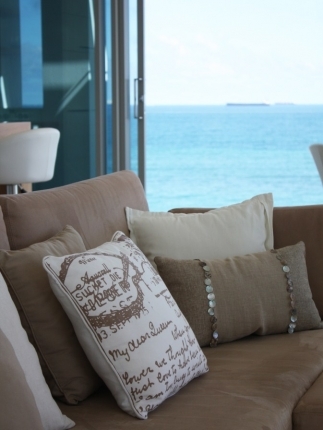 Beyond the lounge area you can glimpse the winter balcony facing the north - and with an ocean view. 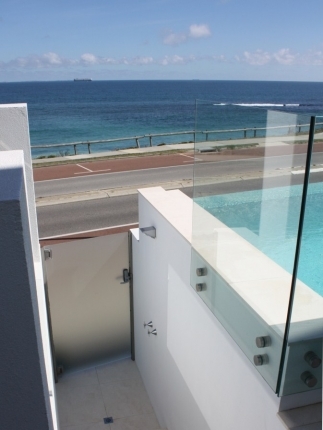 ABOVE: The ensuite has a freestanding tub by an internal window designed so one can bathe and enjoy the ocean view. 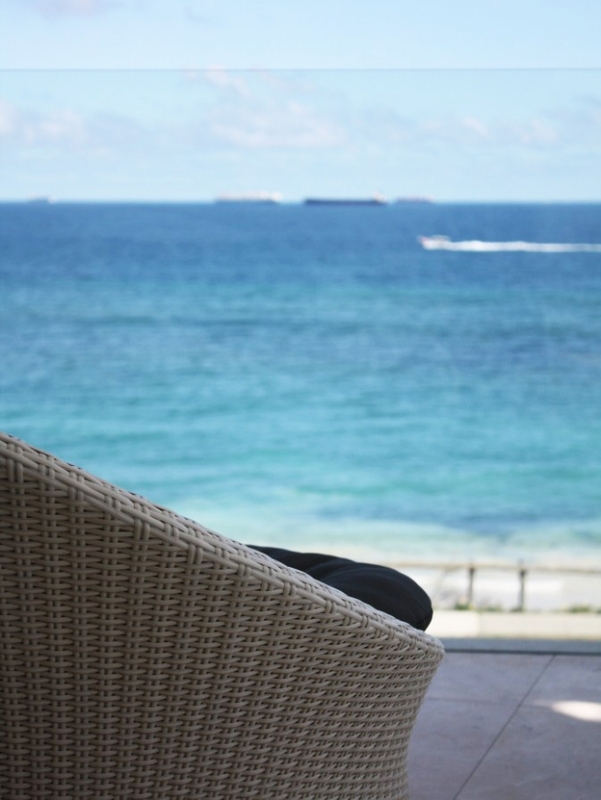 ABOVE: The alfresco looks across the infinity edge pool to the ocean and Rottnest Island beyond. ABOVE LEFT: A gate gives direct access to the beach road - and there's an outdoor shower nearby, for rinsing off after a swim in the saltwater. Oh my goodness - I die. This is my dream house! Hahaha. I did think of you when I saw this one! I had a feeling you would like it... and that unbelievable location! oh my! i melted when i saw the pool. bliss! I know. How amazing is it. What a lifestyle you would have living here - days by the beach, evenings spent at home lounging in the pool watching the sun go down... with wine in hand. You were absolutely right to feature this house. 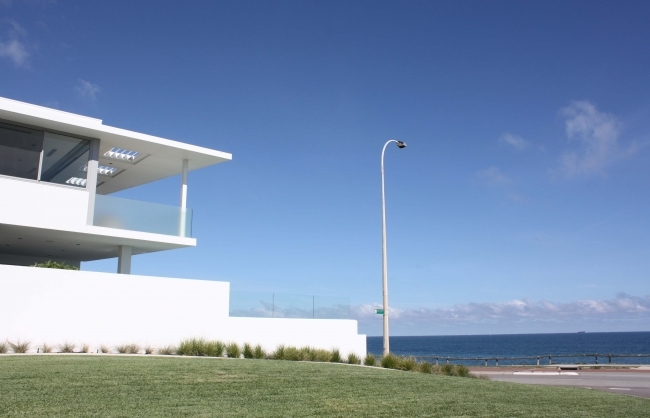 I'd say the beach views alone count as a traditional feature, especially in Cottesloe. What's the selling price, I wonder...dreamily...! Haha I like your thinking. I'm glad that other people liked it as much as I did. I love my character houses but I would live here quite contentedly... although for the asking price which is around $5.5 million, I may just have to settle for drooling over my keyboard instead...! I love seeing beautiful buildings with designer finishes. 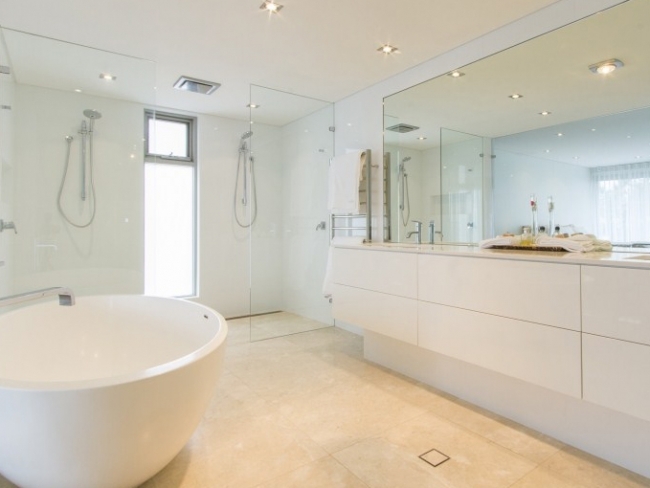 A beautiful compliment to both the Builder and Designer. Now how to fund this purchase.